Security lighting works to deter burglars and other trespassers as well as allows you to walk more safely after dark. Our team of electricians and remodeling experts will work with you to create the security lighting plan that you need as well as work within your budget. We are very experienced Annapolis electrician services providers who help you set up the right security lighting system for you. 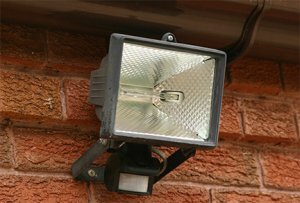 We will work with any property to make sure that your security lighting needs are taken care of! You deserve to feel safe when you in your home or business. Let our team at Chesapeake Electric work to help you feel safer through setting up you security lighting! Give us a call today at (410)280-3388 and receive a free estimate!